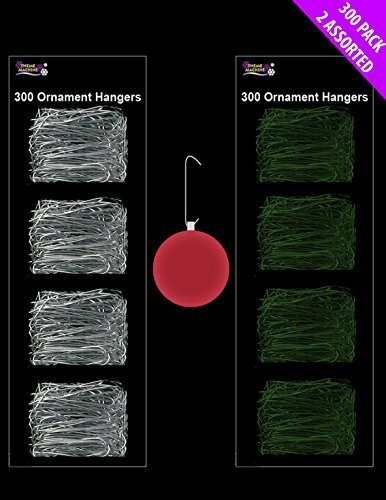 These are the essential item for attaching fiddly baubles to the tree this christmas. ;Please not this listing is for green tree hooks only. ;Also great for attaching items to garlands. ;Keep out of reach of children under 3 years. ;Their are 300 in a pack and are in a range of sizes for all size baubles.